Kathleen Bridge, author of Better Homes and Corpses, started her writing career working at the Michigan State University News in East Lansing, Michigan. 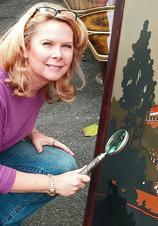 She is the author and photographer of an antiques reference guide, Lithographed Paper Toys, Books, and Games. She is a member of Sisters in Crime, Mystery Writers of America, and has taught creative writing classes at Bryant Library in Roslyn, New York. Kathleen is also an antiques and vintage dealer in Long Island, New York, and has contributed to Country Living magazine. Review (3.5 Stars) This was an interesting mystery for me and I can’t wait to read the next book in the series. Meg is an entertaining character that has quite a bit to deal with when she walks in the middle of a murder mystery instead of an interview with the Queen of the Hamptons. To make matters worse, she is then asked to inventory the estate of the deceased and discovers that there are secrets that someone wants to stay buried. Secrets that they are willing to kill again for and Meg must find the killer soon before it is too late. Better Homes and Corpses is a smart, entertaining mystery that will have you coming back for more. I liked spending time with Meg and her partner, Elle, and I enjoyed learning about their wonderful new business. This is the first book in a brand new series and I have a feeling that this will be a winner with cozy readers. 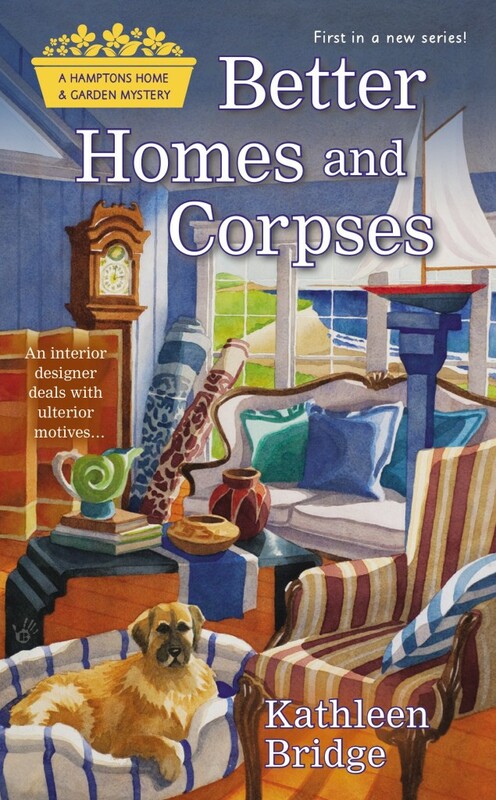 Better Homes and Corpses sounds intriguing! Thank you for the chance to win a copy of the book. So looking forward to reading your book! I love a good Mystery! I can’t wait to read this! Thanks for the chance to win. I would love a chance to win Better Homes & Corpses. I know it would be such an amusing read. Thanks for you awesome generosity, I appreciate it so much. My email is lindamay4852@yahoo.com. I “judge books by their cover,” and this one, plus the title sure does spark my interest! East Hampton location sounds like we’re up for crimes of the rich and famous. I’m in! Love the cover and the book sounds really good!